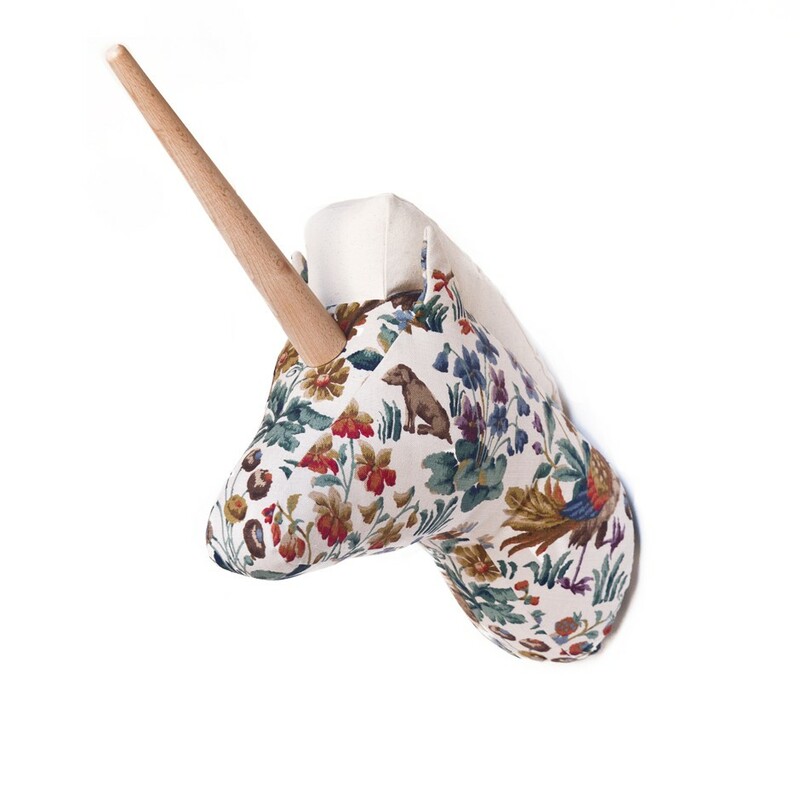 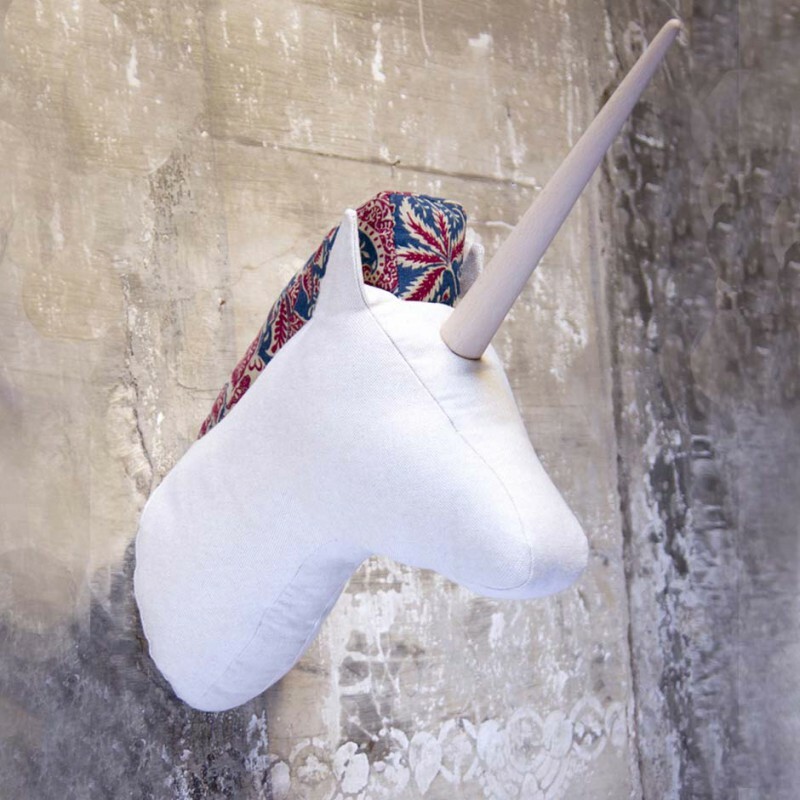 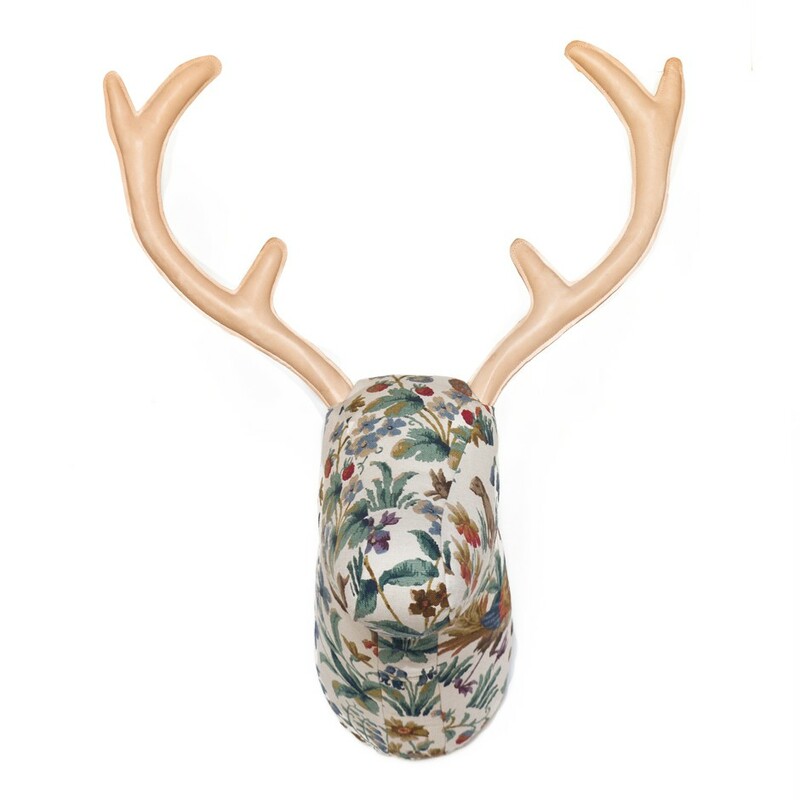 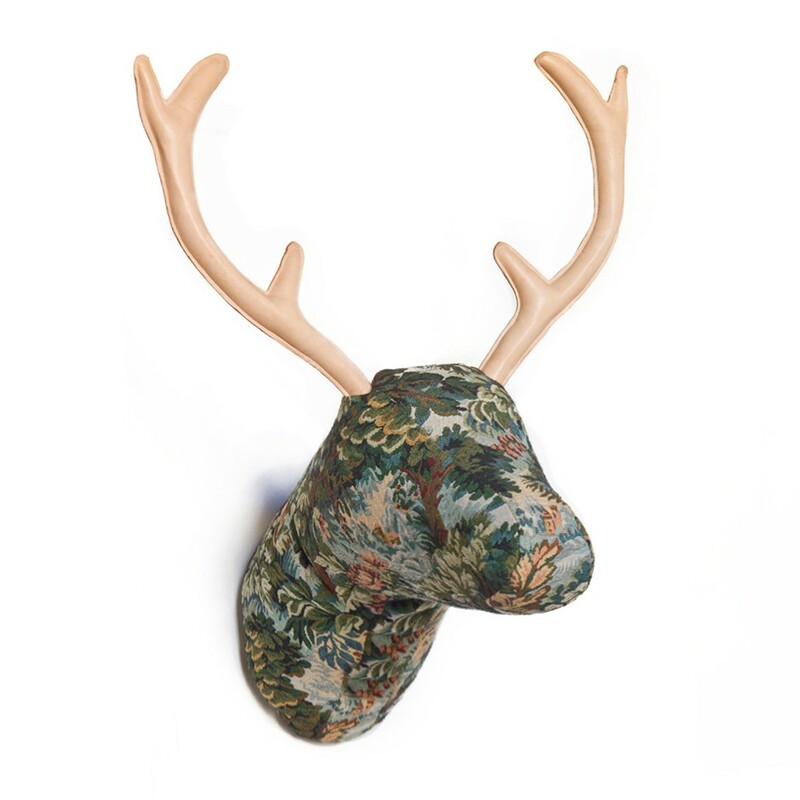 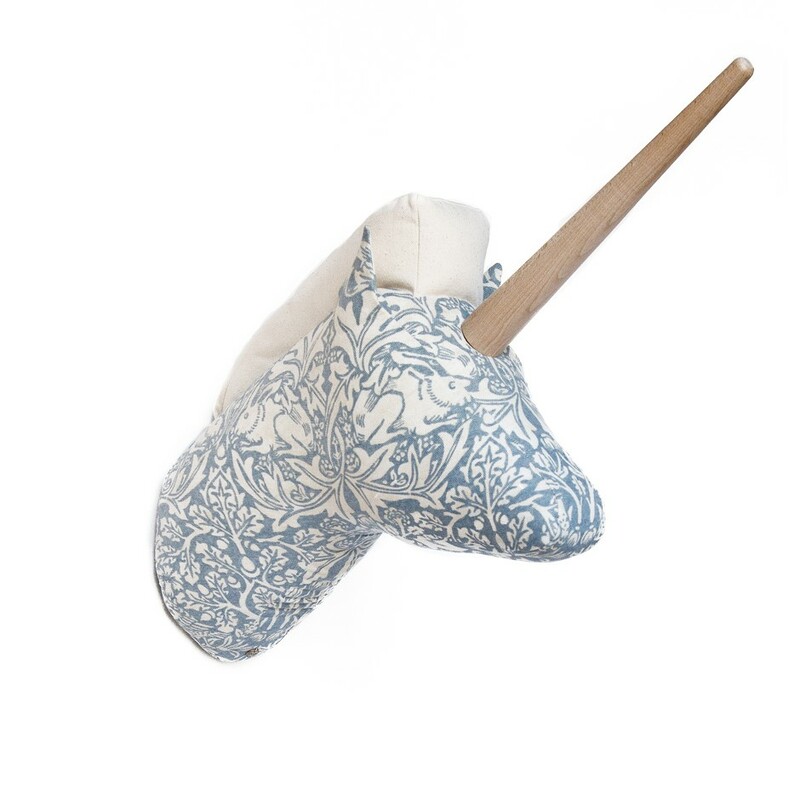 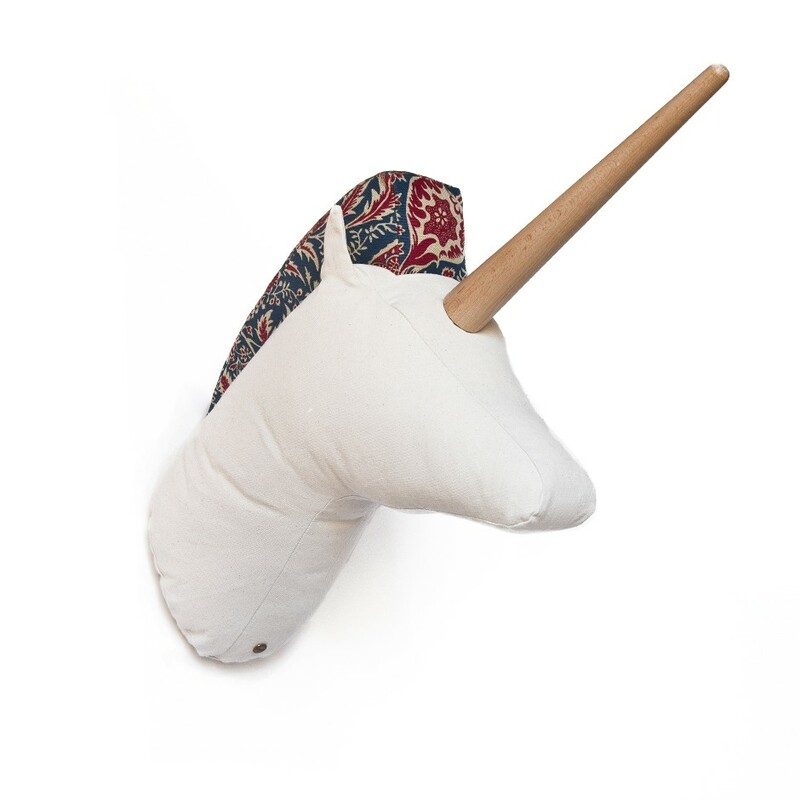 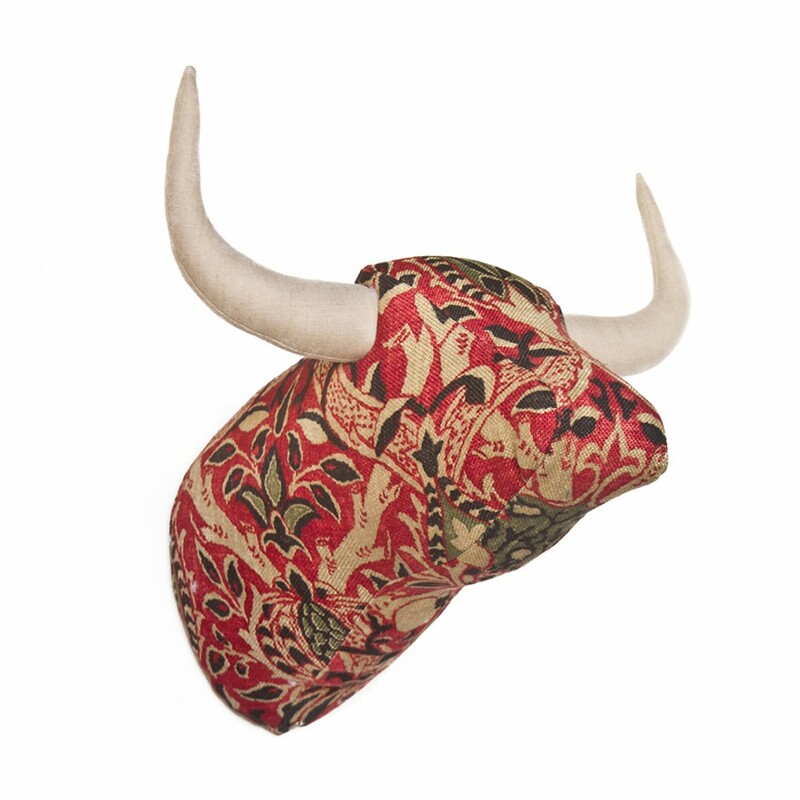 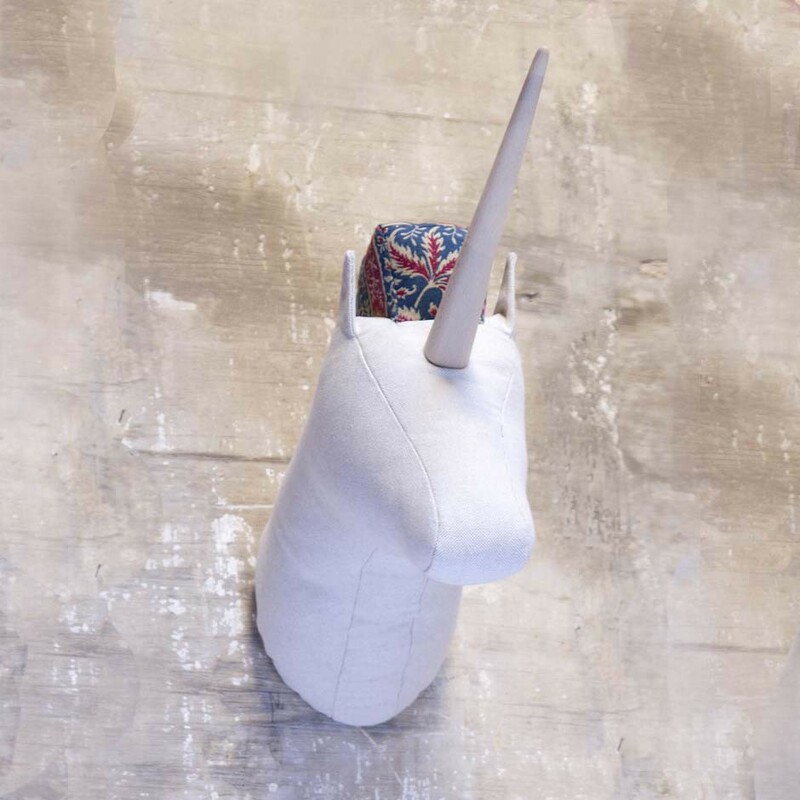 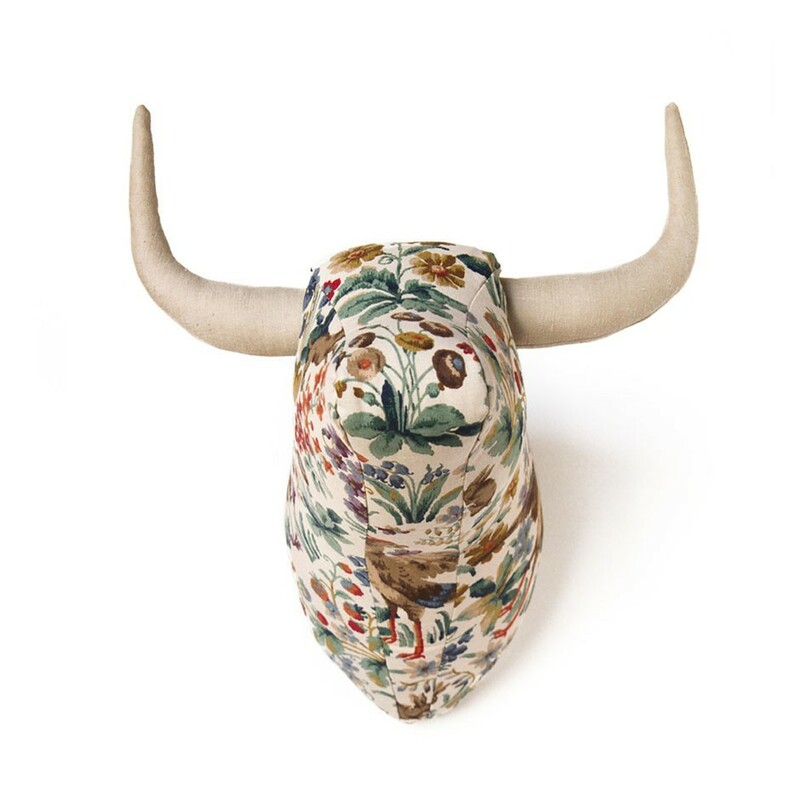 Unicorn head made with original fabric Sanderson House designed for the decoration of walls. 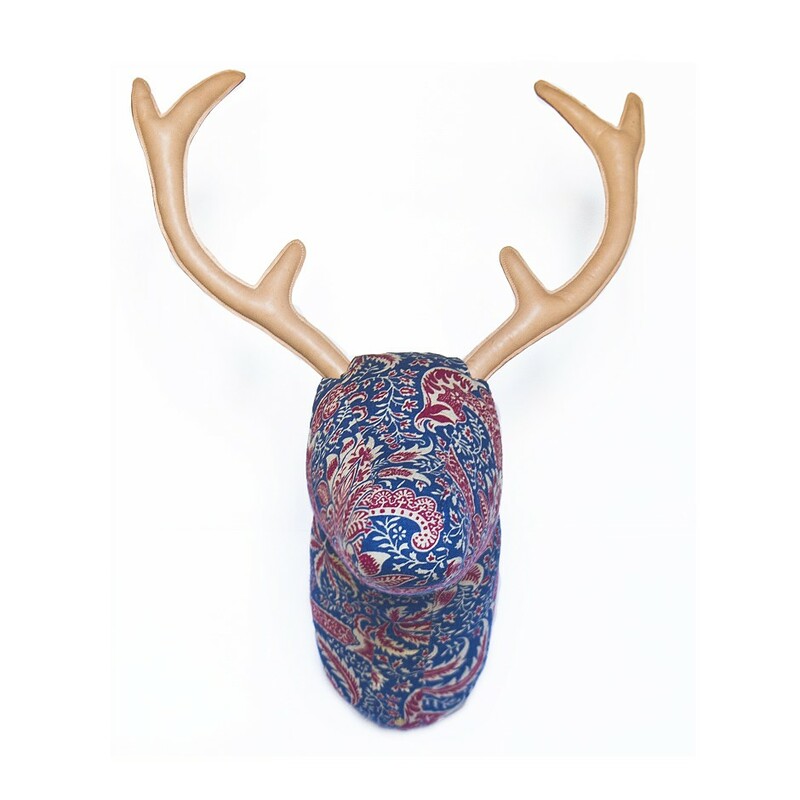 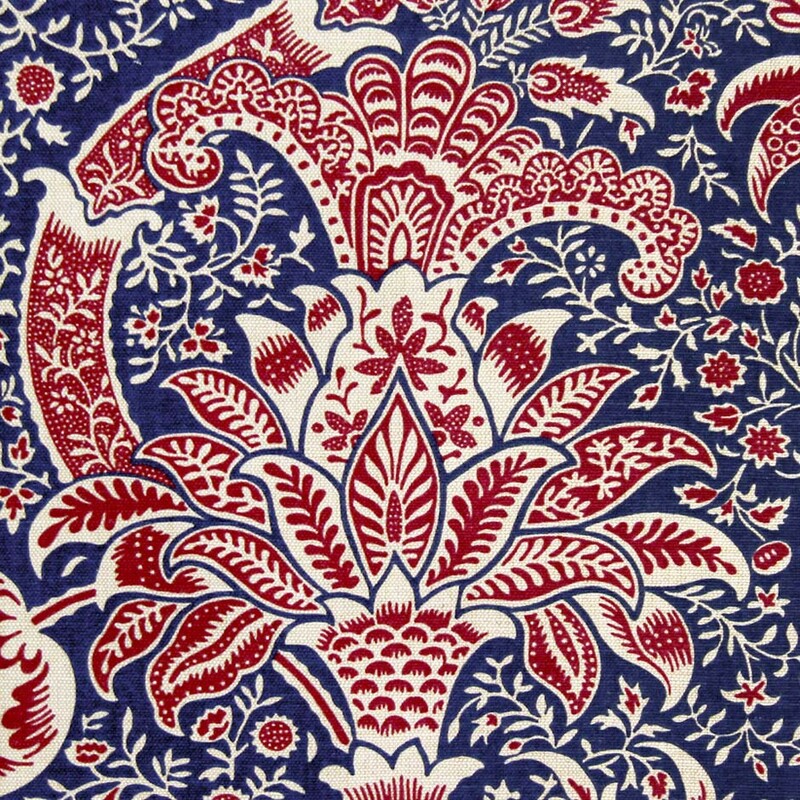 This piece belongs to our exclusive collection Collectors formed by premium tapestries author and wood and leather finishes. 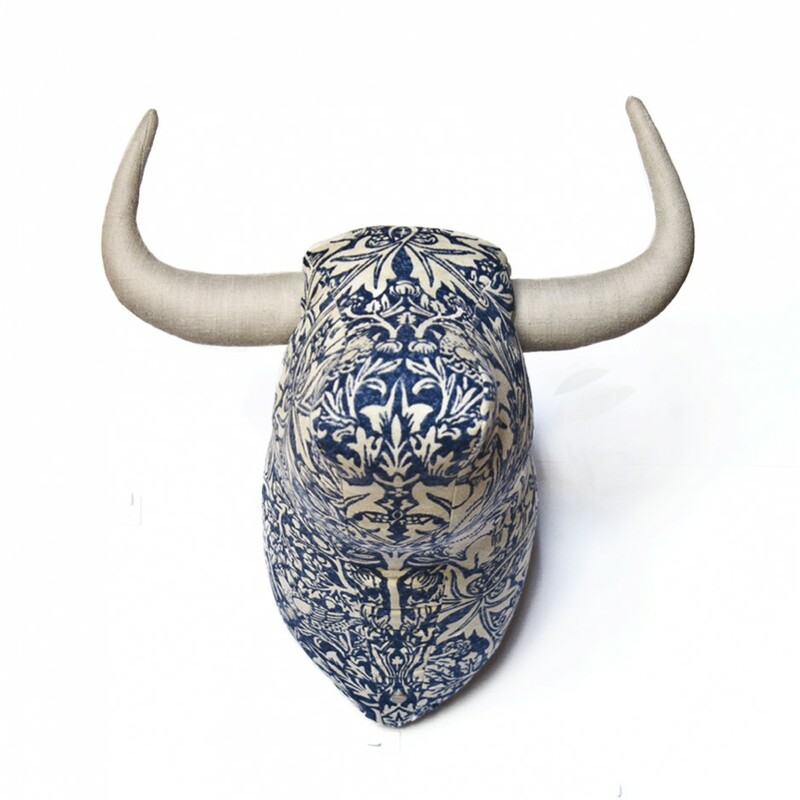 Made 100% by hand in our studio in Barcelona. 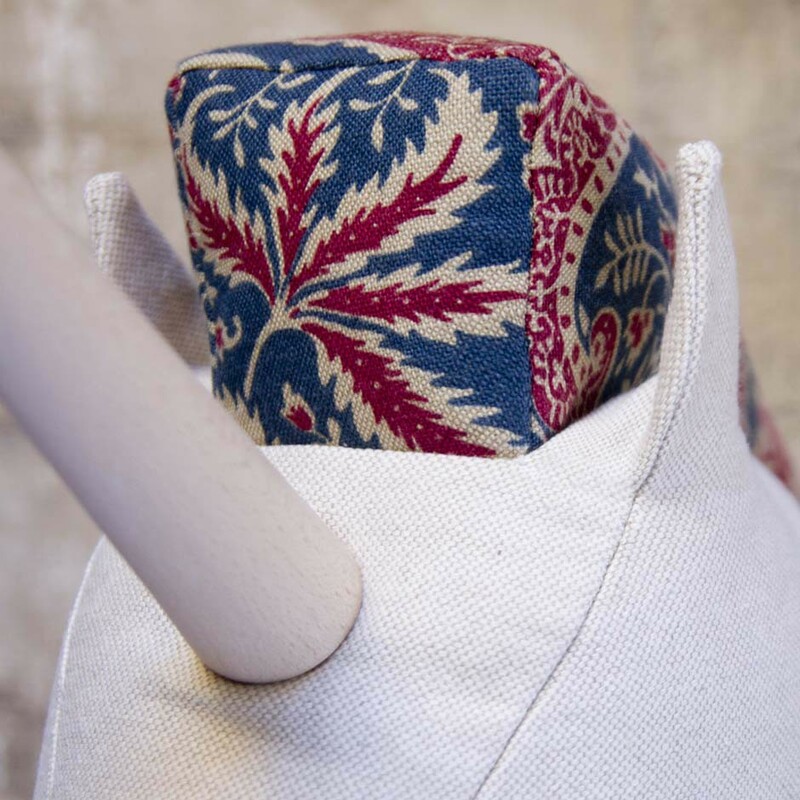 Hang your Softheads easily from teh walll using the fabric strip at the back. 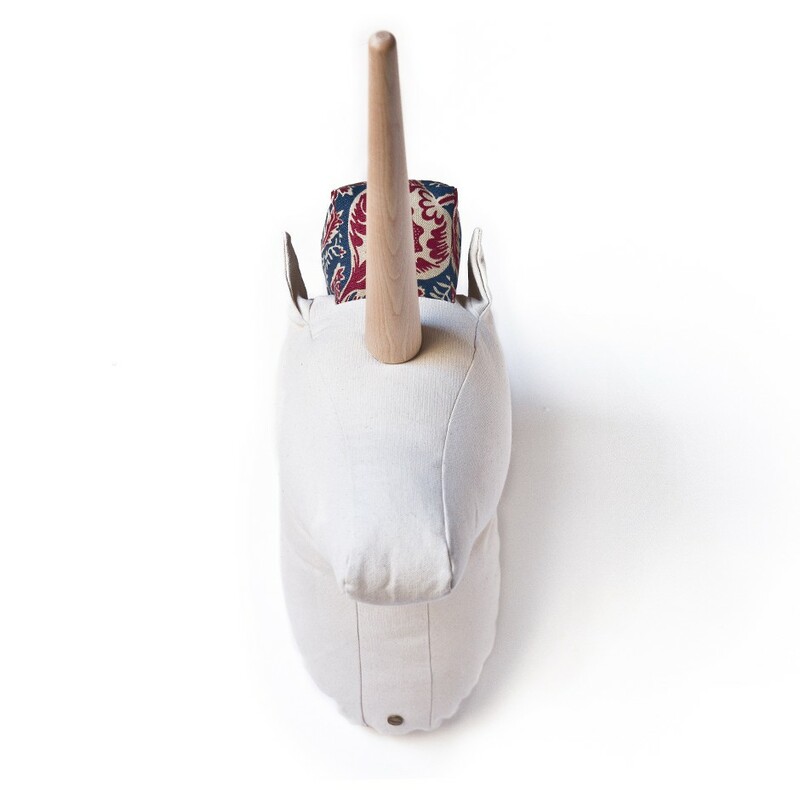 Due to its lightness a simple nail will be enough so drilling is not necessary.